BNP senior leader Khandaker Mosharraf Hossain on Saturday suggested Awami League general secretary Obaidul Quader to see their own faces in the mirror before branding BNP as a terrorist party. “When the Awami League general secretary can say BNP’s registration shouldn’t remain intact as it’s a terrorist party based on a political verdicts in false and fabricated cases, then, I think, ruling party’s registration should have been cancelled much ago,” he said. Jatiyatabadi Nagorik Dal arranged the programme at the Jatiya Press Club demanding the release of BNP chairperson Khaleda Zia from jail. 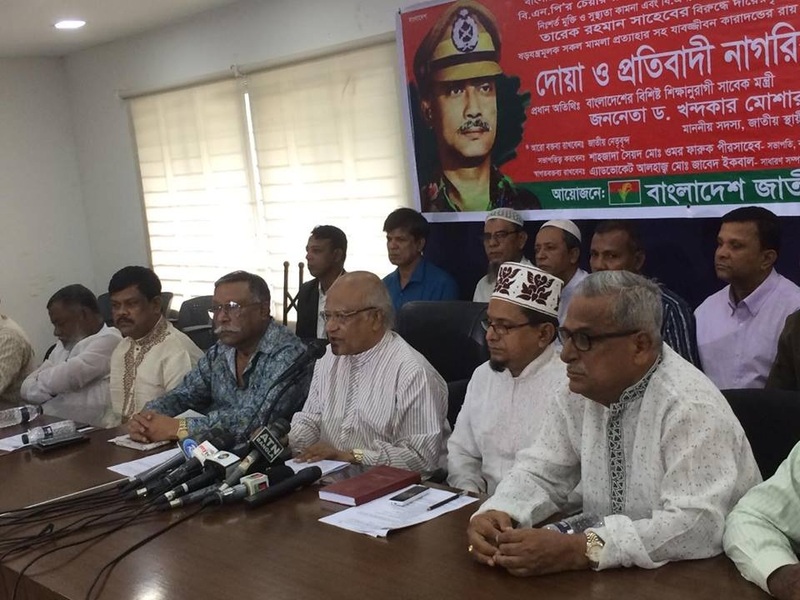 Mosharraf, a BNP standing committee member, recalled that bomb attacks at Ramna Batamul, at Udichi’s function in Jeshore and the killing of 57 army officers during BDR mutiny were held during the rule of Awami League government. “Awami League also killed people with sticks and oars at broad daylight. Isn’t Awami League a terrorist party?” he said. The BNP leader said they are now uniting people to face the current ‘fascist and autocratic’ regime and force it to hold a fair election by freeing Khaleda Zia. Speaking at another discussion at Dhaka reporters’ Unity (DRU), BNP standing committee member Nazrul Islam Khan urged their party leaders and activists to get ready for launching a strong movement against the current government. He alleged that the ruling party wants to hold the next election without the participation of Khaleda Zia and BNP and to avoid its sure defeat. “They won’t hold a credible election if BNP joins it as they’ll face a debacle. So, they’re now talking about banning BNP,” Nazrul said. Bangladesh Jatiyatabadi Forum arranged the programme demanding the release of Khaleda and BNP Dhaka south city unit president Habibub Nabi Khan Sohel.